Something fun and totally exciting happened last night… are you ready to find out what it is? Continue reading! We couldn’t be more proud to announce that #AnnaYork took part in the 7th anniversary of #MTalents! 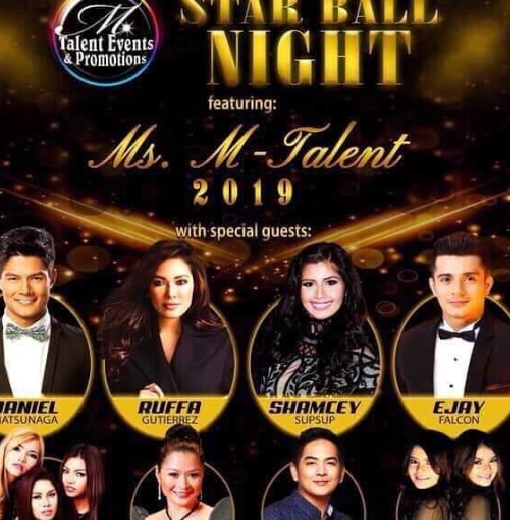 Star Ball Night: Ms. M Talent 2019, the search for the next #MTalent, was held at the Waterfront Hotel and Casino Lahug, Cebu last March 30, 2019. #AnnaYork prepared the most beautiful Ecuadorian roses for the beautiful winners of the competition. 11 dazzling ladies competed for the title. Proving to everyone that they came prepared and confident, carrying their dream to become a part of the talent agency, the ladies were truly very entertaining and deserving. Unfortunately, there can only be one Ms. M Talent 2019. Regardless, we are certainly happy to support M Talents and Promotions for their 7th year anniversary in finding their next best talent. Congratulations Ms. Kiara Liane Wellington for winning Ms. M Talent 2019! You are truly beautiful inside and out! We would also like to congratulate Ms. Kefaiah Al-zair (first runner-up) and Rikki Louisse Alivio (second runner-up). Cheers to a beautiful and fabulous night! We hope that you loved the luxury Ecuadorian roses! For more luxury Ecuadorian roses and beautiful blooms, browse through our website at www.annayorkflowers.com or dial 0995 740 3107. Get the MOST BEAUTIFUL Ecuadorian Roses from #AnnaYork!🌹 In our signature Manhattan box that’s almost 90 cm long, they are packed so beautifully… you just know she’s gonna love them! ☺️ Call us today at 0995 740 3107 or go to www.annayorkflowers.com. . . . Our pick up locations: Metro Manila, Pampanga and Cebu.